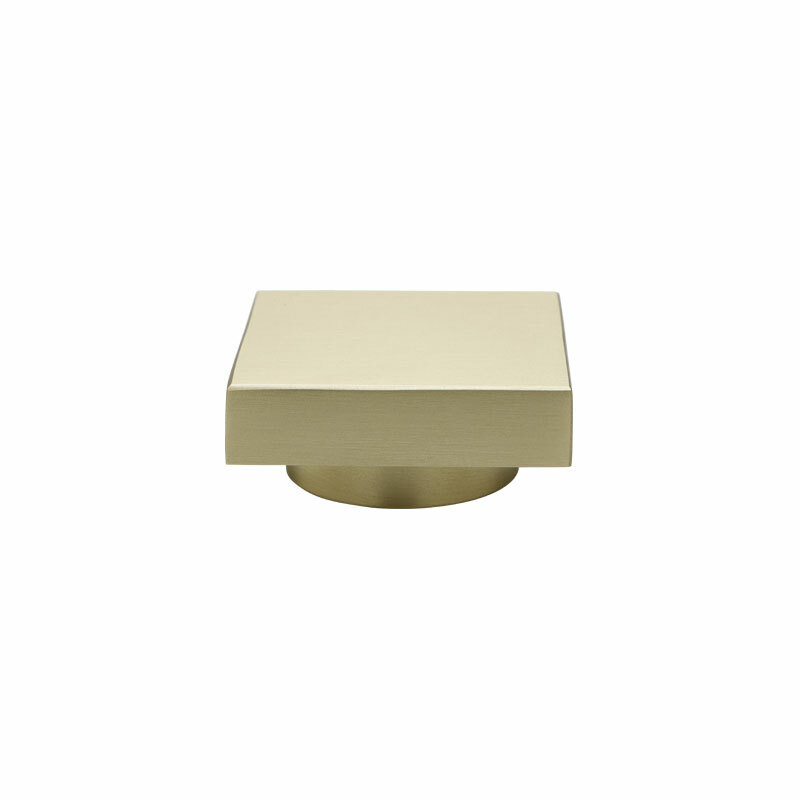 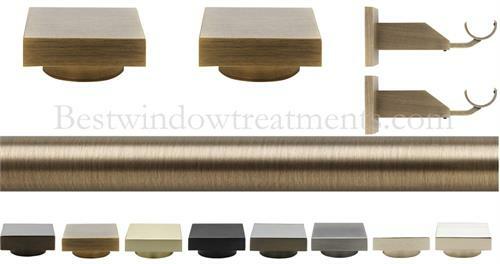 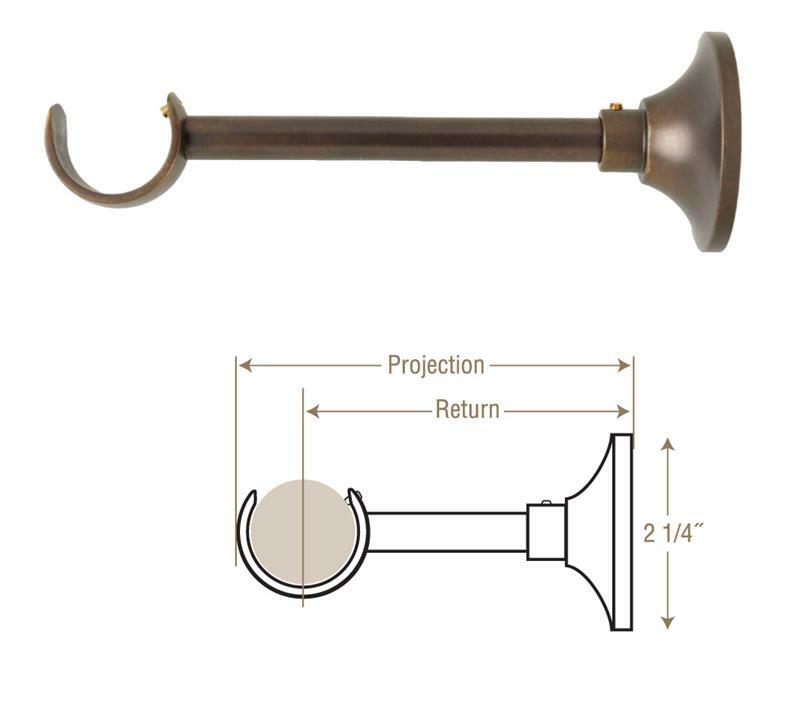 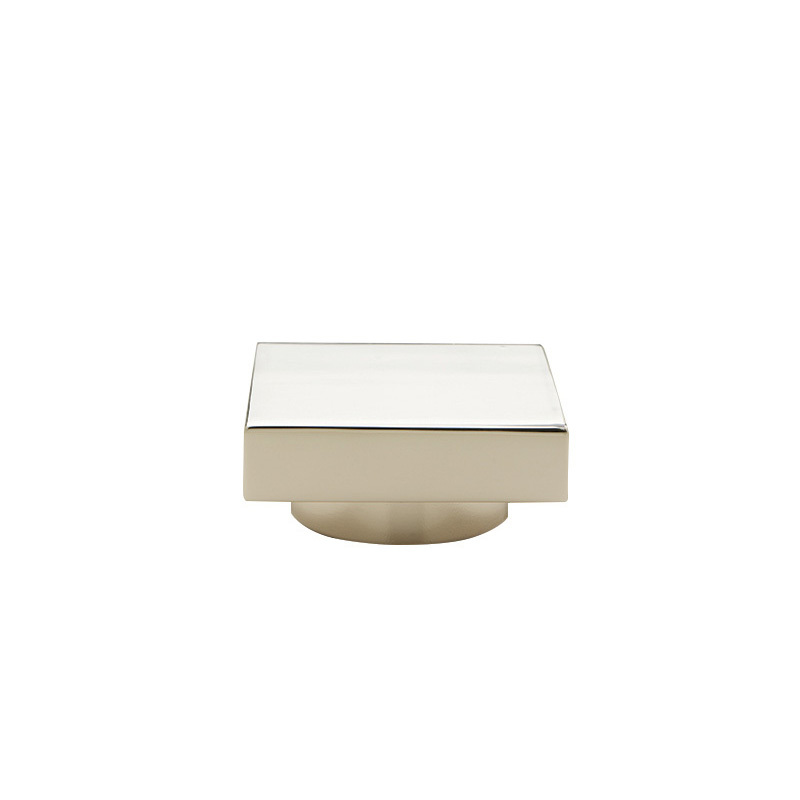 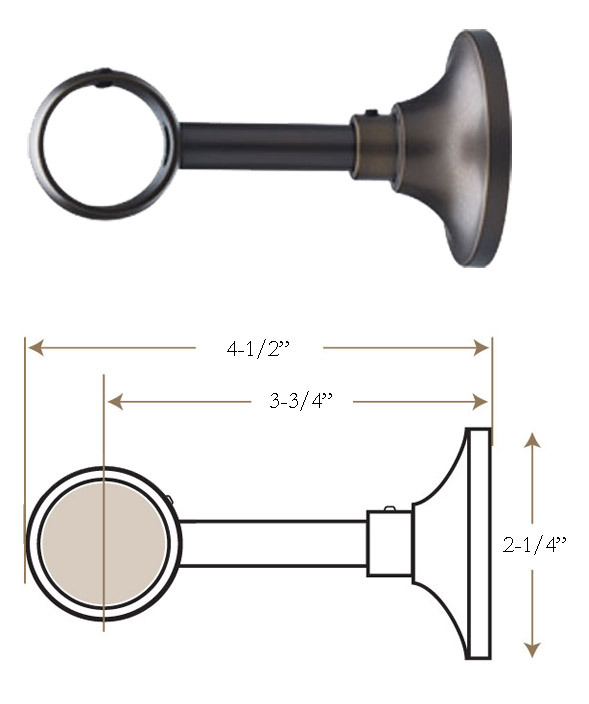 Your Select Brass curtain rod set will include 2 Square End Cap finials, a curtain pole cut to your required length, and brackets. 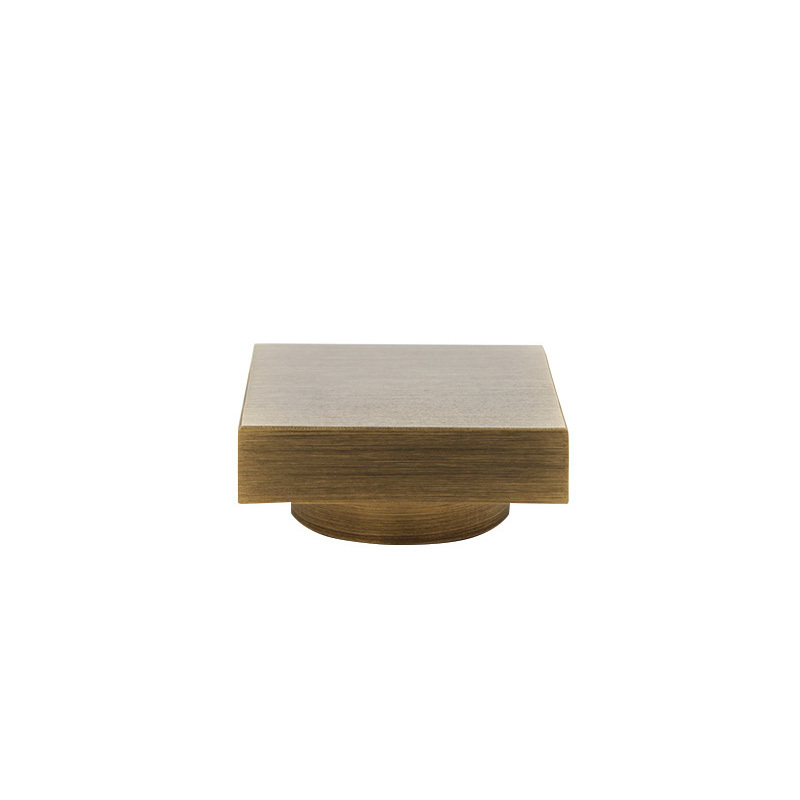 The Select Metal Collection is a premium collection of metal poles, accessories, and rings all constructed using high quality brass. 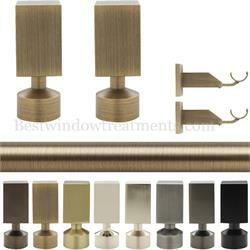 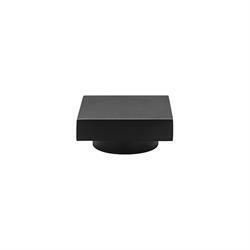 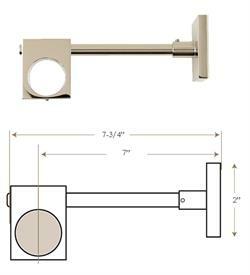 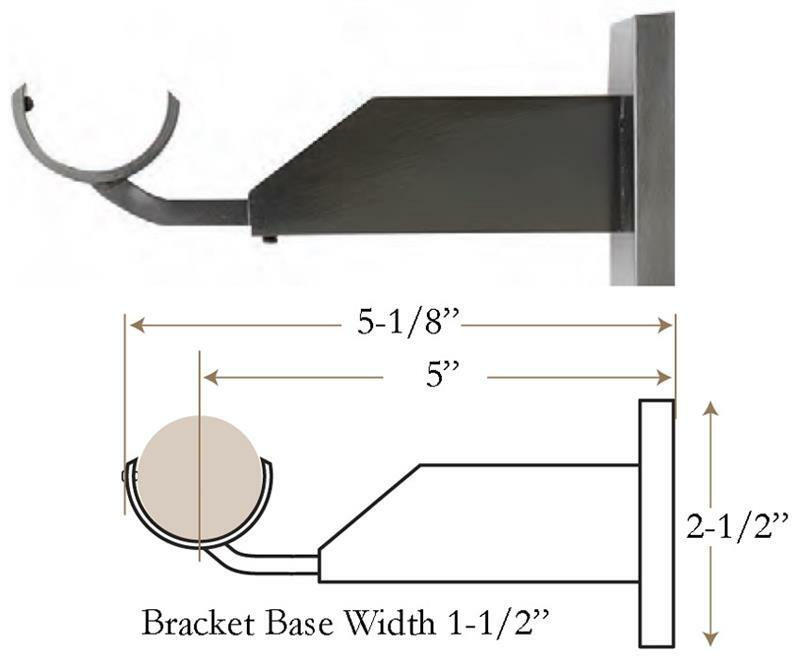 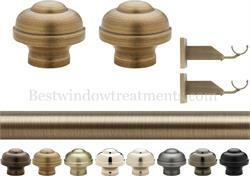 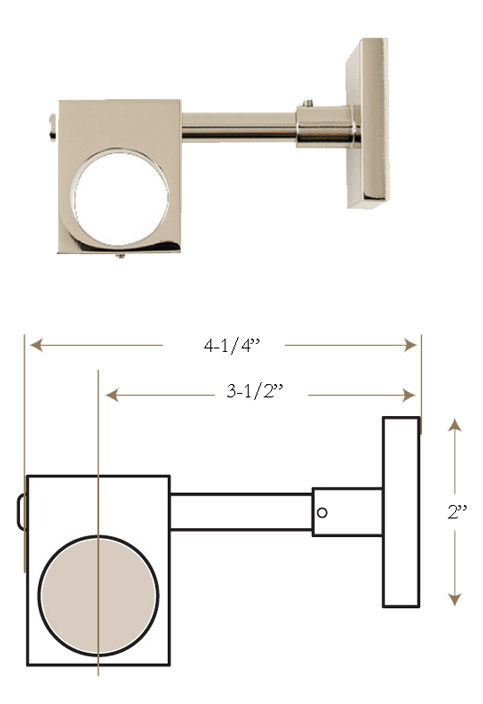 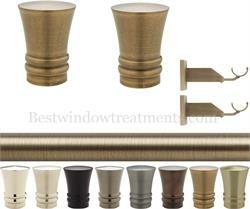 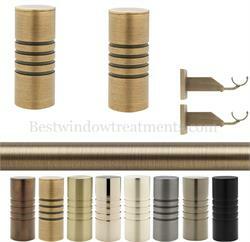 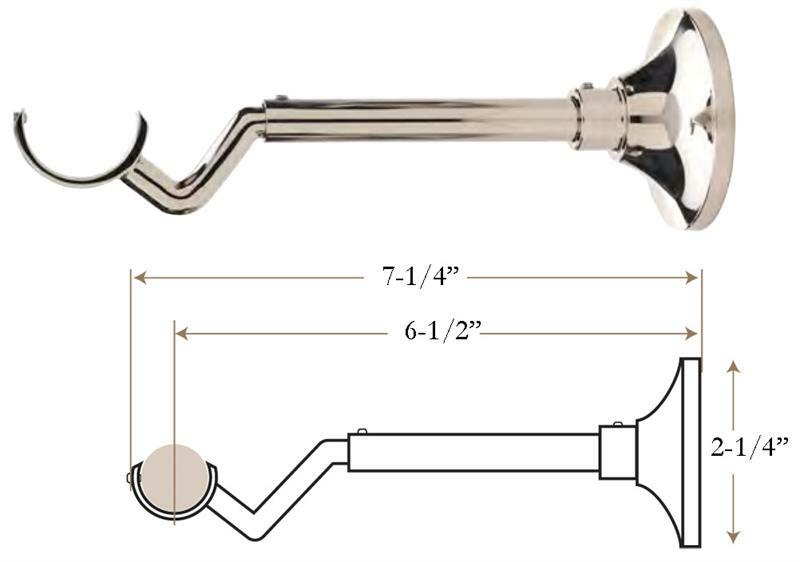 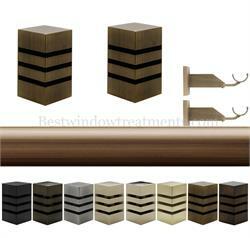 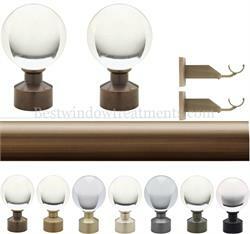 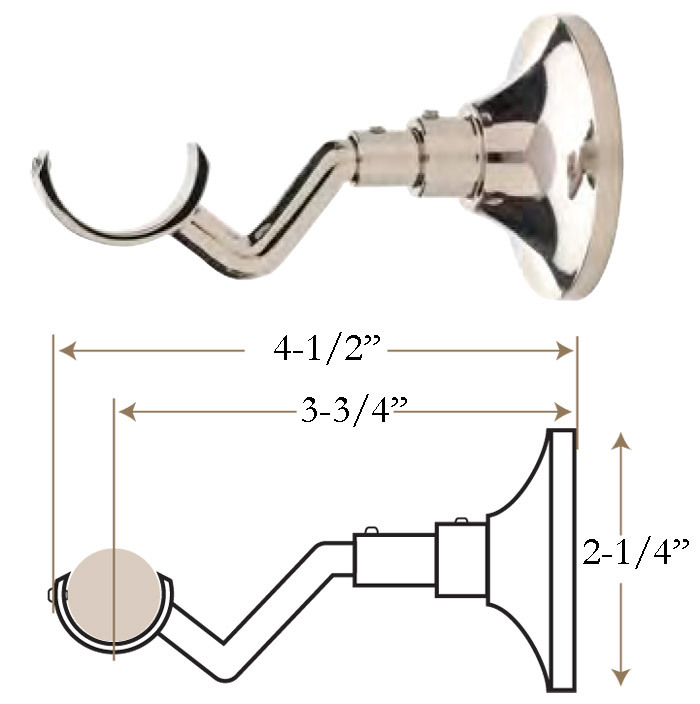 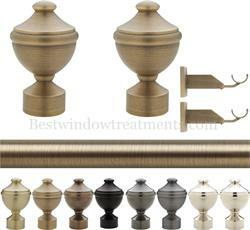 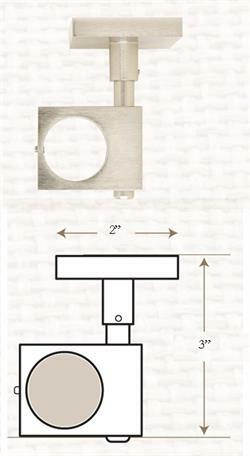 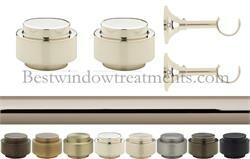 The Curtain rod is 1-3/16" in Diameter. 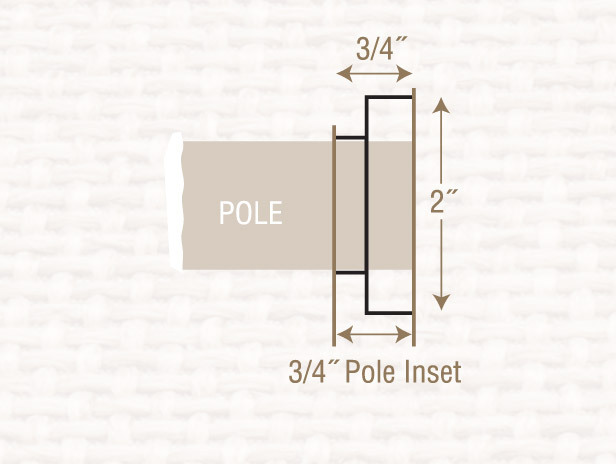 The pole will be custom cut to the length required. 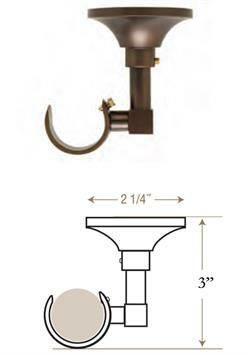 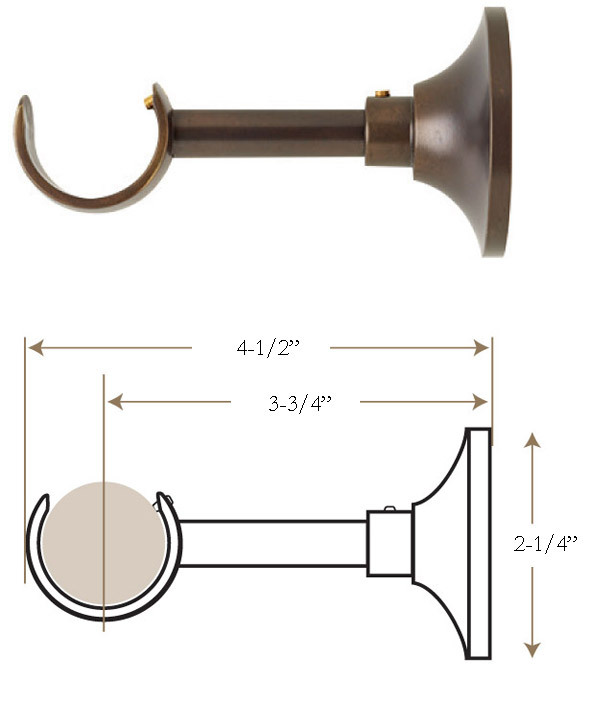 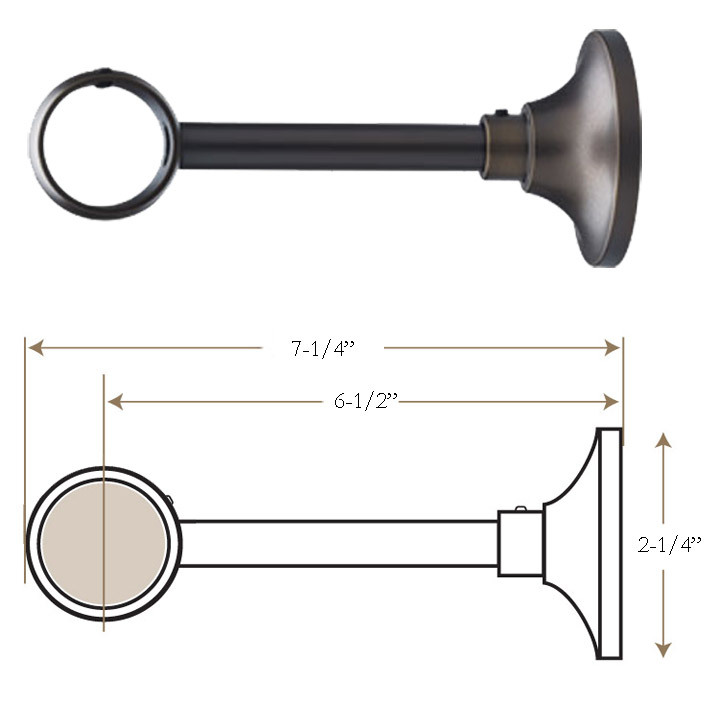 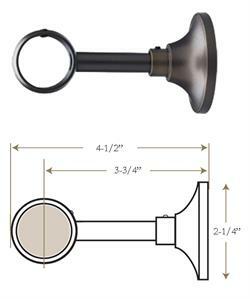 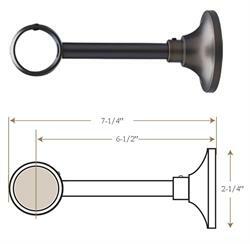 Please note that this style finial will fit over the end of the rod and add 1/2" length to each end of the rod. 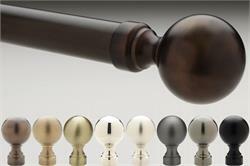 Collections are in stock and typically ships in 1 week.